Leonard Slatkin Interviews with Bruce Duffie . . . . . It is when musicians are very busy that one is grateful for time, especially the added days between concerts or operas in one city. Such is the case in Chicago when multiple performances allow visiting artists to remain rather than flying in, performing, and flying right back out again. 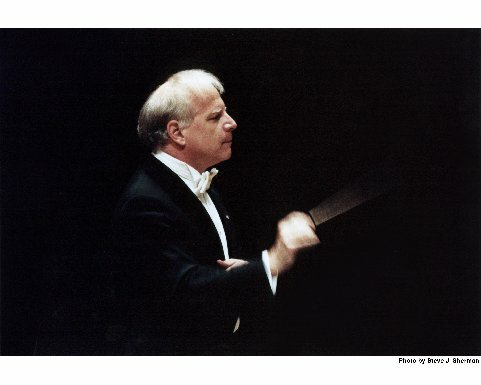 The demands on conductor Leonard Slatkin are such that his schedule is bursting with engagements, and he is in the fortunate position of being able to select where he goes and what he presents. Besides his long tenure with the St. Louis Symphony, he has conducted all over the United States and in Europe, and has recorded much of the mainstream and unusual repertoire. Rather than recount his biographical details, I have included the blurb from the Kennedy Center at the end of these conversations. A link to his website is also included, as well as a couple of other sites of direct interest. Aside from enjoying his performances of both opera and concert in Chicago, I've had the pleasure of interviewing him twice, once in 1986 and again about two years later. When I met him at his hotel, he was quiet and unassuming, but spoke with authority and the knowledge that his words were important and accurate. Discussions about musical topic were rather matter-of-fact, and he made no bones about any of his opinions. The first chat took place in September of 1986, when the conductor was in Chicago for a new production of Mozart's The Magic Flute at Lyric Opera, directed by August Everding. That became our point of departure . . . . .
Bruce Duffie: You say this is a good show; what makes this a particularly good Magic Flute? 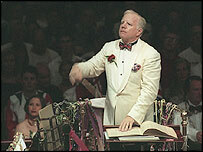 Leonard Slatkin: First of all, it takes the title Magic, and uses it, so there is indeed magic in it. In fact, they've hired an illusionist to coach some of the singers and some of the vehicular effects that we have going on. The production really does play towards the aspect of the fantasy which is involved. The tender moments need to be tender, but not overly weighted down in the symbolism. BD: So you're not trying to get all this Masonic business? LS: Well, you know, if you stop and think about it, during Mozart's time - and even, indeed, through certain elements of our own society - the Masonic rituals and ideas were meant to be secret. So we are not playing heavily on the representation of the number three, or the number five, for that matter. We are not depicting in total what the trial by fire and water might be, we're just suggesting what it might be without giving away anything. It's an element of being a fantasy, but a humanistic one. By the time the opera ends, the characters will have undergone a transformation from being in an unreal world to being in a real one. BD: You're still using the various levels, of course. LS: We're using levels, but they're built in! There's no question that Papageno and Papagena exist in a different element, but Tamino is in their world so often anyway. BD: In this opera, or in opera in general, where is the balance, in opera, between art and entertainment? LS: It depends on who you talk to, doesn't it? We certainly know, from reading enough about The Magic Flute, that it was first and foremost an entertainment! Whatever things were put into it later, were, indeed, put into it later. It was not in the original concept. It was meant as a form of entertainment for not a particularly high-class clientele. It was a people's show, and, as such, it was in direct competition with other works of the time. Just as Beethoven's Fidelio was in competition with other so-called rescue operas, here, Mozart was in competition with other magic operas. There was an opera called Kaspar the Bassoonist [by Wenzel Müller (1767-1835)]. Franz Schubert's 1820 music for the melodrama The Magic Harp, whose overture was later retitled Rosamunde] is another type of opera that this was patterned after. There was a style of opera that was popular, and Mozart and Schikaneder certainly thought they'd cash in on it. BD: Does the spoken dialogue work well? LS: The spoken dialogue works very well here. We are using projected titles. There are people that will have mixed feelings about it, and I'm one of them! Because this is such a busy show, you worry that people will have their attention on the titles at a moment when you might want to have their attention on the stage. But on the other side, it's very helpful for an audience to know exactly what's happening. [Note: Though projected titles of some kind are nearly universal now - both in the theater and on the screen - it's interesting to remember that when this chat took place, in 1986, they were a very new and unperfected gimmick.] There was talk at one time about doing the dialogue in English and the opera in German, but that doesn't work, because then what do you do about the confrontation of the Speaker and Tamino in the end of the first act? So it was agreed upon to do it in German, although people will find a few little Americanisms thrown in once in a while just for the sake of throwing 'em in. Plus there are a few things that we say in English just for the sake of it, and a lot of sight gags. I'm pleased and I think it's going to work. As we've been getting into it, the people with the titles are beginning to remove things that they feel now are superfluous - places where the audience will understand the German anyway, or if not, the stage action will make it, or when a line is repeated. Monostatos at the end of his little aria in the second act, for instance, is pleading with the Moon, essentially asking why this black man can't have the white girl. Three times he pleads to the Moon about this problem, and in the end the Moon turns black. Monostatos gives a signal of thanks, although he certainly still doesn't get a chance to accomplish what he's after. But the point is that after he says it the first time, the titles then go off so people will hopefully be diverted back to the stage. BD: Now does all of this bring it more into the 20th century, or is it to bring it closer to this particular audience? LS: I don't think it's either, really. The production is based on one that Mr. Everding has done in Munich, although it's been tailored for the theater here with certain modifications, but not for the American audiences. [See my Interview with August Everding.] The only major difference, he says, has to do with the entrance of the children of Papageno and Papagena, which in the Munich production he has coming in on a gigantic cart; here they come out of a tree. Aside from that, he says it's the same essential production. I think it's going to be successful. There are enough subtle laughs and enough belly-laughs, and enough tender moments to make it all work. As far as entering it into the 20th century, we can't really duplicate what the 19th century ethic was about, or the 18th, for that matter. So the best we can do, I think, is to make the jokes and the meanings clear for an audience of today, because they're not going to approach it with a sensibility of 200 years ago. They can't. Just the same as I would not ask the orchestra, in a work like this, to play it in anything other than the mid-20th century approach to Mozart! I'm not going to alter the pitch; I'm not going to ask them to play with different bows; I'm not going to ask them to play with no vibrato halfway through. I think it's the same kind of thing. The bottom line is we listen with 1980s ears. BD: OK, then, the Capriccio question... Where's the balance between the music and the drama? LS: In this work, the balance is achieved, certainly, because the tender moments are so moving. The two acts themselves make the balance. One speaks of not using the significance of the numbers, and I was quite pleased during the course of rehearsal, for instance, to point out to many people - especially those who knew the piece - that although three is the Mystic Number, five is the number of Womanhood in the Masonic ideal. I think Miss Blegen [singing Pamina] was talking about how she didn't quite understand her character, and Everding went over the fact that she's about to become the first woman admitted to this mystic secret society, and therefore she has a very prominent role to play. Mozart tells us this at the end of the first act, but very few people understand it. He uses, in the very last 20 seconds, two five-bar phrases. It's the only time in the whole work that a five-bar phrase occurs, and he repeats them back to back. After I pointed out that he is, indeed, giving you a clue, a very subtle one, mind you, a few people said, "Yeah, you know, you could've easily taken out one bar and it would've been a normal four-bar phrase." In fact, probably, for most people, if you took it out they wouldn't notice if it was gone. So I think the drama is inherent in the music. Whatever drama needs to be built in, Mozart has given us. BD: How do you divide your career, opera and concert? LS: Yes. I like it better. BD: [With mock incredulity] You don't like opera? LS: I didn't say I didn't like opera. LS: I said that many years ago, and now I'm changing my mind a great deal. I'm enjoying the operas that I do, but it's a very limited repertoire that I will do. I'm not that interested in resurrecting most of the operas that are deservedly forgotten. I'm not interested the majority of the bel canto operas. LS: Because, I don't think, as a conductor, they're very satisfying. It's like doing a Paganini concerto all night. BD: Then, how do you decide which ones you will do? LS: I try to find the balance between what I consider to be worthwhile pieces, where the conductor has a real role as a leader in pacing of the totality of the musical experience, and where he can - or she can - interact with the performers in such a way as to create a kind of chamber music. Certainly in Mozart you can do that. If there's no other reason for doing Mozart, it is that he is the only composer successful in both opera and chamber music. He achieves operatic means within in his quartets, and he achieves chamber music means within his operas. BD: That's very significant. So when you're dealing with The Magic Flute, do you purposely schedule Mozart symphonies or concerti in the same year or years? LS: No. No, Mozart symphonies and concerti pop up every year anyhow, and, as part of the symphonic repertoire one does them as a matter of course. But when I agreed to do this Magic Flute a couple of years ago, I did make sure that I was programming - over the few years preceding it - other works that were around the same time. So the last three symphonies of Mozart have come into the repertoire, for me, a little more sharply focused, and the last few piano concerti, things like that, the later Mozart works, which, to a certain degree are more simplistic than some of the middle works. Certainly in the concerti that's true. BD: Are you finding the more you get into it, the more you like the opera? LS: I've always liked this opera. This has never been a problem. The operas I've done to date have been an Ariadne, which I did at home in St. Louis; a Turandot as a concert work both in Minnesota and Chicago and then as a staged work in Vienna; Werther, which I did in Stuttgart last season; Barber of Seville, which I did at home; and various and sundry concert performances of other operas like Tosca and Salome, and King Roger of Szymanowski - that was interesting. BD: Does opera work well in concert? LS: Some - not all. I think it depends on where. You want to do operas, for the most part, as staged works. That's the first thing. So in St. Louis it would make no sense, for instance, to present Mozart operas in a concert style, since the Opera Theatre is engaged in a Mozart cycle. Operas that tend to be in that category just wouldn't make sense there. BD: Would it make sense to do a work of Salieri? LS: I don't think so; I don't think they're very good. I don't think it makes any sense to do pieces that aren't very good. BD: Does it make sense to only do masterpieces? LS: No; it makes sense to do pieces you believe in. And that is, of course, the subjective point. I sorta try to believe in them myself, all the pieces that I do are good pieces - not great, but good. I don't think you should do junk just for the sake of the novelty, and that's what you wind up with most of Salieri when you pit it against something else. Even on it's own it's not very good; it's not very creative. It reeks of Mannheimisms, and it's very thick and just not very inventive. Even if Mozart wasn't alive, I don't think Salieri would've survived, much the same as Spohr hasn't survived. And here was the person who was supposed to be great - the Beethoven instead of Beethoven! So, who knows? BD: Are there any new works coming along that you can place alongside the works of Mozart? Or Beethoven? BD: You're sort of championing most of these composers you just mentioned. LS: Except for one, yes. But that means I believe in them now and I think that they will be heard in the future. But I don't know. BD: Is it a mistake for the concert audience, or the opera audience, to expect a new work to be a masterpiece? LS: Of course it is! BD: How do we get away from this, then? LS: By trying to stop your mind from saying, "Oh, that didn't sound like...", or "It wasn't as good as..."; to be open and receptive to the fact that a new work is created, and that you, you are in the position of being one of the people who will judge if it should or should not enter the repertoire. BD: Then what do you expect of the people who come to a first performance? LS: Usually I'll talk about it, anyhow, to the audience. That's when I deal with it. All I ask is that they try to understand why the piece was written and what the composer was trying to get across. As a listener, try to decide for yourself if, indeed, the composer has succeeded. Take Donald Erb, for instance, whose music I played here last year and will play again this season with the Chicago Symphony. When he writes a piece, I talk about the sort of sonic structures that he tries to create; the sounds from familiar instruments that sound unfamiliar. In a way I'm saying to the audience, "This is what you're going to get; don't worry about thinking, 'Oh, that was a great piece,' or 'That was a lousy piece'; see if the sounds fascinate you enough; they are different, which is all the composer at the moment is trying to set out to do." LS: [Fervently] No. When they write it, they're not looking to be different. In that particular case, he's trying to entrance your ear with unusual sounds. I don't know very many composers who write a piece with the idea that this is going to be around in 50 years. They write it the best they can, and with any luck it'll survive. But very few consciously sit down to write something for the ages. BD: Do you feel that when you make a recording, that it will be around for the ages? LS: All recordings are around for the ages. They can always be resurrected, but it is only a document of a particular couple of hours in time and a producer's idea of how it should sound. It's a snapshot. BD: Do you make any differentiation between conducting in the recording studio and conducting in the concert hall? LS: Sure. You have to make sure that you can sustain the tension on a record. It's actually easier at a concert. It's hard to sustain tension in a piece of music on a record, very hard. LS: There is no audience there, nothing to play off of; just a couple microphones hangin' around. BD: Should you, then, maybe invite fifty spectators? LS: No. No. No. No. In a funny way, the people who do recordings with a live audience there say they feel they get a better result, but I've always felt that no matter what you do, even if you hear a broadcast of the particular concert, you don't recreate the same experience as the person sitting in the hall. So I wouldn't want that; I wouldn't want to make a record and have 2,000 people with different perceptions of how it really is on the record! So you create a different kind of tension, that "studio silence tension." We have a record coming out at the end of next month (with St. Louis) of the Shostakovich Fifth. That is one of the few that I think I really do have it; it really is tense. You feel it. And very few of my records pull me in as a listener. Very few. This one does. So we'll see. BD: Are recordings a good thing? LS: Oh, yeah! Why wouldn't they be? BD: They don't set up an impossible standard that you can't recreate in the live concert? LS: It's different. The concert standard is a different ethic than the record standard. BD: Do you feel the audience understands that difference? LS: Yeah, because too many audiences hear poor performances and come away thinking it's great. BD: We've talked about how you choose which operas you will do. Concert repertoire is completely different; how do you choose which pieces you will and will not play? LS: Since I do more concert repertoire, I'm expected to have a broader repertoire there, as any music director is. It really is a question of balance, both for myself - for my own orchestra - and as guest, meaning what I do on the road. I know pretty much what my strong suits are, and I know what my weak ones are. So, in the course of my home season I'll do a few pieces which I think I need to work on, to get better at - like a Third Brahms, or a late Bruckner symphony, or Don Juan of Strauss. Beethoven Four is an example of a piece I don't do very well. BD: Do you ever get roped into doing a performance of something that you really don't believe in? BD: You can absolutely veto that. LS: Absolutely. Sometimes, if you commission a work and it comes out poorly, you're stuck! But there's nothing you can do; you commissioned it. You've agreed, and you've plunked down a certain amount of money, or the organization commissioning it has, and it would take a lot of guts, much less an unlimited pocketbook to be able to turn that down. But it doesn't happen very often. Most of the pieces that I commission, I know the composers well enough to know they're going to create a work within a certain standard. It may be a little below it or a little above it, but it's very rarely off the line that much. BD: Is it very important to commission works all the time? LS: [Emphatically] Yes! Somebody somewhere has got to believe in a few composers and play them a lot, if they're going to survive. Just the same as it's very important for Americans to understand what their musical heritage is. I don't understand, for instance, why we're limited to hearing one or two pieces once in awhile by composers like MacDowell and Piston and Ruggles, and Sessions, I guess, to a certain degree. I think we owe it to ourselves to look back and see what our own musical traditions are. Then we commission a new piece to help build on what the past is, while looking at the past to make sure that we understand what it is we're building on. BD: Does there ever come a point when there's just simply too much music around? LS: For who? The audience? LS: The audience has it automatically because you can turn the radio on and get as much music - or more than you ever bargained for - of any kind. So that you're in control of. For myself, the answer is "No," because I'm able to control how much I do within a given year. And as a guest, I take many pieces to many different places. So rather than lug a huge repertoire and have an ultra-heavy suitcase, it's a few pieces in different cities. BD: What are the differences between conducting the St. Louis Symphony Orchestra and the Chicago Symphony Orchestra? LS: It's a big difference. As a music director in St. Louis, I'm trying to shape a sound, a personality of one instrument which will carry over to its guest conductors. When I'm not there, I expect the orchestra to play at a level that I have set for them, and hopefully they've set for themselves. As a guest, you come in and you inherit the furniture. You inherit how the orchestra sounds, and unless you're doing a very long stint, which I've fortunately had the occasion to do for a few seasons here, you take what you get. You don't move the furniture! You have your own approach to a piece, but you can't change that much! Here in Chicago I was doing four weeks in a row at a couple of points, and that was fun because by the time we got to the end, the orchestra and I really knew each other. There was a certain change of sound, a little closer to what I do at home; whether people like that or not is another thing. BD: Then is it easier to come back the following season and pick that up? LS: [Muses in a high-pitched tone of voice] Mmmmmm... no. I've known this bunch here for twelve or thirteen years, so they know me pretty well and we start right away. They know what I expect and I know what they're gonna give me, so it works out pretty well. It's never going to sound, as a guest, like it does in your own home! No matter how much you influence another person, their home is not going to look like you would always want it to. BD: But you are satisfied with what you do. LS: Oh, yeah! And, in fact, the beauty of collaborating with the great orchestras around the world is that you pick up ideas from them and take them to your own home! One thing that certainly makes a great orchestra is its distinctiveness - the fact you can recognize it when you hear it - and because of that, the orchestras probably have areas where some people say, "Well, that's why they're great, but I don't particularly like that." The slightly reedy sound of the winds in Berlin, for instance. Not everybody likes that, but it's what makes the Berlin Philharmonic wind sound. Here in Chicago, of course, one points to that very direct and wonderfully clean brass sound. But not everybody likes that! I prefer a slightly more mellow sound. Also, my hall is a different kind of hall; it has at least one second more reverberation time than Orchestra Hall does. In fact, when Chicago played in St. Louis, the orchestra was very, very happy. They played Bruckner Four, and you could see the look on their faces. They could actually get that round, burnished sound that they really would like to get, which is so impossible to get in Orchestra Hall! On the other hand, a couple of years ago when my orchestra played in Orchestra Hall, they were pleased at the clarity they could get here that they couldn't quite get at home. So, you know, you take what you got. LS: Mm-hmm. I wouldn't do it if it wasn't a lot of fun. I also wouldn't do it if I didn't get paid for it, but it is a lot of fun! BD: You don't have any burning desire to bring greatness to the world? LS: I desire to bring music to the world. Whether it's great or not is for other people to judge. I know if I've done a performance which is satisfying; there's never a performance that's so great as to be the ultimate. If I ever arrived at that I'd quit! But I like to think that most of what I do now is very much in the interest of what the composer had in mind. BD: So then the composer is the ultimate. LS: Oh, absolutely, absolutely. It's so silly to make a work sound unlike the person who wrote it. The Magic Flute, with all of its inherent problems, will still sound like The Magic Flute, and it will still sound like Mozart. It's not going to sound like Stravinsky, it's not going to sound, well, like anybody else other than Mozart! BD: When you're doing an opera, how much of a collaboration do you have with the director? LS: A lot, in this case. We both met prior to the first rehearsals here to discuss approach, and we hit it off right away. We both had exactly the same rough idea. He had it more in detail, from having done it a buncha times, and I had it more or less in my head how I wanted it to look, and what I wanted to hear. I've been in attendance at most of the stage rehearsals, and he's been in attendance at our orchestra rehearsals, and given advice that's been very valuable, really valuable. We've helped to shape it together, I think. LS: [Thinks for a moment.] Here in Chicago they're doing very well with their ticket sales. This is a really hot property they have, and that's a terrific thing. I'd say in general, the opera world probably is winding into a little bit of trouble because of the star system. A lot of productions rely more on the big-name singer to sell it, rather than the music itself. I'm pleased about this Magic Flute because in that sense, although we have some very notable people in the cast, it's not a high-power. superstar production-type thing. We really did go for balance, and because of that we were able to get three very solid ladies at the beginning, and that's nice, for a change. It's always been a traditional form of social entertainment. I'd like to think that television and recordings and broadcasts have helped to put the entertainment value back in it for people. LS: No, I don't. It's interesting for people, I guess, for the first time, to see what the words are, and to get the music and all that, but the problem with any filmed play, or opera, or anything, is that you're not getting the value of sitting in the hall and letting your own eyes direct you. You're simply led by what the camera tells you is important. It's like when you to a concert, you have your own ears; you pick up your own ideas of how something should sound, automatically. I think on television it's not a mistake, but there's something about being in the hall; and then all the grandeur of all the people around you, and the excitement of it - or the boredom of it, I guess. BD: Is there anything you can say to the tired businessman who's had a heavy dinner and several drinks before he comes to the opera house? BD: Really? You don't want him to come at all? LS: No! I want people to come to music who really wanna listen to it, and who want to get captured in it, not those who are there by chore! Don't come to music that I'm involved in unless you really are interested in it. If you want to support with your dollars, that's fine! But if you're really not interested in it, just put the dollars there and don't fool us with the pretension of being an arts lover. And don't do it, certainly, just to gain an entrée into society! If you don't like it but feel you should be there, perhaps meet a friend who does know something about it, and perhaps can guide you wisely. I think that may be the biggest problem of all - people go to things indiscriminately, without being led gradually into it. For me, opera comes late because most of the repertoire I knew as a youngster I deplored! I didn't like it at all! It's really been, for me, a very selective process. People say, "You should listen to this first, and try to do it in this kind of order." It was much easier that way. LS: I didn't say that! BD: Don't you want people to subscribe? LS: I do, and I want them to go, but only if they really are interested. BD: But they have to be interested in a lot of things if they're going to a series of several operas that is presented. LS: Nobody says you have to go, in the case of Lyric Opera, to all nine. There must be a subscription of less than nine, I would think. A group of three operas is enough, isn't it? I wouldn't go to all nine operas! BD: It's hard to pick and choose! LS: I wouldn't go to all nine. Why is it hard to pick and choose? LS: All right, don't subscribe! Get tickets on an individual basis, then, but certainly don't go to all nine. Split the series with somebody. Have a real opera fanatic get the other four nights that you didn't want to go to. BD: You say "opera fanatic" with such derision. LS: I do because I think opera fanatics don't use a very objective approach in listening, for the most part. BD: Is it wrong to like lots of styles? LS: I think it's wrong to assume that things are good when they're not. BD: But that implies a value judgment about each performance. LS: That's right! Well, so? The opera fanatic is supposed to know about what's right and what's wrong. He's supposed to know that just because a singer hits a high C, that is not the end and beginning of what a great performance is. BD: How much do you, as a conductor, take into account the vocal demands placed on each singer? LS: A lot. It's why, at the first couple of rehearsals with the singers, I literally don't conduct; I say, "Just sing it as if you were giving a song recital. Lemme hear what you wanna do; lemme hear where you need some time. Let me see what's possible for you. If I wanna go a little faster, let's try it and see if it works; if it doesn't, I'll give in. If I'm too slow, let me know." I'm very flexible. Singing, as is all music, is based around one concept: you have to breathe, and if you can't breathe comfortably, then the tempo is wrong. BD: Do you say this same kind of thing to your flute player, or your trombone player? LS: Yes, I absolutely do. Absolutely! And I say it to the strings! You ask any orchestra, and they'll say that the one word that comes up often, more than any other word with me, is the word "breathe." [Takes a breath, then in a calm and relaxed tone of voice] "Take a breath." People sometimes say the strings have a big advantage, because they have a bow and can create continuous sound. I think it's a big disadvantage because they've forgotten that the essence of music is breathing. BD: What is the second essence of music after breathing? LS: Sound. Quality of sound. BD: Is there drama in symphony concerts? LS: Well, I hope so. I hope so. Every piece of music. In fact, probably even more, because our job in a symphonic concert is to take music without a story and create stories for people. Let their minds go and get pictures if they wish. BD: How young should you start coming to the opera? LS: I don't think too young is a good idea. That's where I made my mistake. I was taken when I was a kid to see Hansel and Gretel, and Madame Butterfly, and this was just not very interesting. And I came from a musical household! It just turned me off, right away. I think opera probably should come a little bit later, maybe in the high school experience, maybe just a little bit after, when one has a good knowledge of the combination of poetry and literature and music. Have a little bit of each in your growing-up system, and then bring it to the opera. After all, opera's supposed to be the culmination of all those forms. BD: Is opera, especially the singing, a kind of an athletic contest? LS: No. Certainly not the way we're doing it. It is a problem you can see once in a while. The problem of the star system makes people come expecting so much, and in some cases, the better musical performances are given by some of the smaller roles. But the expectation is different. I'm against music competitions to start with. I don't like them; I don't like people competing - it's not a sport, so I don't care for that very much. I certainly don't like it when it's within the musical confines itself, when two or three people are onstage showing each other up. They shouldn't; they should be trying to complement each other. I hope there's not a lot of malicious intent up there. There shouldn't be. I haven't seen it. BD: What about going back and forth between the audience and the players? LS: Performers onstage have to play with their audience; that's what they're there for. I think if you receive something from the audience you should give it right back. BD: Do you feel differently on each night? LS: Yeah, the operas I've done where we've repeated, each night, you sense a different feeling from the audience and you play accordingly. Some nights, however, you block out the audience. It's either going so well that you just don't care what the audience thinks, or it's going so poorly that you know nothing can salvage it, and you just want to get through it. That doesn't happen too often, but once in a while. BD: Is there a Thursday crowd, and a Saturday crowd, and a Friday afternoon crowd? LS: I haven't found that. I can't say I've found that. BD: Is there a different crowd from city to city? LS: Yeah. Some New York audiences are out of the house by the second curtain call; they wanna get to their subways and cabs, and all that. L.A., surprisingly, doesn't listen to any music past 1920. LS: [Sadly] No. There's not much past 1920, anyway, in Gershwin. A little bit. I've seen an L.A. audience walk out of Benjamin Britten, not being very happy with it. BD: Is the opera crowd different from the symphony crowd? LS: I don't know that much about opera in America. This is the first major house I make an appearance in, so I don't know what the crowd's going to be like. And I also haven't gone to much opera in America, so I don't know that. BD: What kind of music do you go to? LS: I go to recitals and I go to symphonic concerts. Most of the time when I'm in town, as a guest, the opera isn't going on anyway, so I don't have a chance to get there. In Europe I go to opera a lot now. BD: Are the standards there different? LS: Yes, they're very different and sometimes not for the positive reason. A lot of the German houses, for instance, are not as distinguished as we would expect, and not as sophisticated in the system where different cast members change, and the orchestra players are different, and conductors change. It seems like they're grinding it out, like sausages. So that's a little detrimental. On the other hand, the Munich house, which is where this production originates, is a very distinguished house, and they maintain a very high standard there. They won't allow themselves to slip. It's quite remarkable. BD: Can a piece get over-rehearsed? LS: Yes, very easily, especially in the European situation. But the Europeans, for the most part, would like everything learned to the point where they can go in and just rattle it right off without thinking about it. I like to keep a little bit of edge. I don't want something so clean, and so perfect that nothing is saved for the performance. I like just that little bit of edge from everybody, and I frequently am not sure where I'll leave it. Sometimes it'll be in a small place, or sometimes it's a whole big passage. I don't know, for instance, in this Magic Flute, come the dress rehearsal, what it is I'll have really left to chance. I don't know. BD: But you purposely leave something. LS: Nooooooo. Something, but not purposely. Something gets left out, but I don't know what it is. BD: Let's talk a little bit about Richard Strauss. You've done Ariadne, Rosenkavalier (in concert), and will be back to Lyric Opera of Chicago in the future with Salome. Everybody seems to think there's a big correlation between Strauss and Wagner. Is there? BD: Of his own theology! LS: Of his own theology, right. So I don't really place the two of them together. I myself don't do any Wagner. I'm not drawn to it. BD: Not even an overture here or there? LS: Oh, well, a little piece here and there, yeah, but overall, for me, at this point, doing a Ring Cycle or even a Tristan, for that matter, just doesn't strike my fancy. BD: Then concerning Strauss, how are the operas similar or different from the tone poems? LS: Not so dissimilar. Not really. Leaving aside the text, Salome is essentially the conflict between music which is to be in waltz rhythm, and music which is not to be in waltz rhythm. It's significant, for instance, that in all the music of Jochanaan - of all of it - there is not one bar in 3/4 time. It's like it's the forbidden rhythm, the waltz. So, in effect, both Salome and Elektra are the two great examples of the operatic tone poem. BD: Is that why they work so well in concert? LS: I think so; I think both of them work very well for that reason. Not only that, but with a few exceptions, they are relatively static operas. Not much happens. A really exciting production is one which minimizes the amount of action, but makes you concentrate on the music. In that sense, works like Don Quixote and Death and Transfiguration are essentially symphonic operas. BD: Should there ever be anything done on the same bill as Salome or Elektra? LS: I don't think so; I think it's enough. It's so intense I can't see doing another work. BD: 90 minutes is enough for an opera? LS: Oh, yeah. Why not? Was there a rule that it has to be more than that? BD: No! No, no, but it just seems like one is getting a little bit short-changed. BD: That's true. That's true. Years ago at the Met, they did Gianni Schicchi first. LS: Oh, that's cute. No, I don't think so. I think what might be significant is prior to the opera have somebody come out and explain it. That'd be a nice thing to do. Or perhaps read from the Oscar Wilde and discuss the differences with the audience. Something like that. BD: The problems of doing Salome or Elektra are not insurmountable, are they? LS: Oh, no. No, hardly. First of all, you now have orchestras which are conversant with the language and can play it, which is probably something Strauss didn't have. You also have a little more flexibility from the stage point of view, in that directors can get away with a little more now in the middle or close of this century. So perhaps we can be a little more graphic, maybe. BD: Have stage directors gone too far? LS: In some cases, yes. I violently object, generally, to taking the story out of the particular time and period in which it's placed. You're doing quite a disservice to the composer by doing that. BD: You'd not do a modern-day Traviata or Così? LS: Nope. I've seen them, and I'm not interested in it. We did a Gianni Schicchi in St. Louis which was set in 1920 Chicago. LS: It worked, but all of a sudden, what was amusing became surprisingly stereotypical. It was a mafia group, and for me it became slapstick because I don't think Puccini meant that. BD: They had a big success with a mafia-style Rigoletto at the English National Opera. LS: That's the Jonathan Miller production, and it's very clever, but is it a good idea when there's a kind of historical context in which the opera is set to start with? I don't know; I don't think so. Don Carlo has been updated. Fidelio was updated to Nazi Germany! It is the era of the director and the superstar, and the music seems to be taking second. BD: Is the conductor getting left out? LS: [Wryly] Oh, not the conductor! It's not a question of that; it's a question of the music getting left out. BD: Should opera ever be done in translation? LS: Yes! Absolutely. In fact, if we were not having the surtitles I'm not so certain I would agree to do Magic Flute in German. Certain operas, especially ones where extensive dialogue is used, either need the help of the titles, or should be done in a language that is readily accessible by its audience. Certain operas don't need it, where the story is simple. Bohème is not one that needs titles. We all know. It's very clear what's happening in this opera; it's not a big problem. Most of the operas of Mozart would need something. Verdi operas probably would need some help. BD: Is there a direct relationship between dialogue and recitative? LS: Recitative is nothing more than sung dialogue, really. This Magic Flute is a Singspiel, but we also have the one long recitative between Tamino and the Speaker. So we really have a foot in both camps here. BD: Besides Salome and Elektra; you've done Ariadne. What are the special problems of that one? LS: Ariadne is a chamber opera. That's why I'm glad I did it first. It is an opera where the resources of a chamber orchestra, and the resources of a smaller theater make a particularly satisfying experience. You have an inventive set of characters, as opposed to a very traditional one which occurs in the opera itself. I found it a very satisfying work to do. It's not necessarily an audience piece, but maybe that's why I found it satisfying at the time. BD: Was it sung in English or German? LS: Both. We did the prologue in English, we did the opera in German, and we did the pantomime in English. This was about ten years ago, and we were one of the first companies that did it that way. Besides the prologue, in the middle of the opera, when the commedia dell'arte troupe comes back, we did that portion in English again. BD: Is Zerbinetta too difficult for a singer? LS: No. No, there are always enough people to rattle off almost anything. You can always find one. Sometimes it's not great, but you can always find one. BD: Are performers getting better, then? LS: Depends on what the criteria for "better" is, doesn't it? I think we're beginning to gravitate towards a more... I don't want to say "romantic," but a less sterile way of music-making than the '60s and '70s produced. We went through a period where everybody was just being so strict and faithful to the text that we seemed to have forgotten about the music in the meantime. I think we're coming back to something in the middle, something between what Fürtwangler preached and what Toscanini said. BD: The other Strauss you've done is Rosenkavalier. Is that one too long? LS: No. How could it be, it's so glorious; how could it be too long? BD: Do you make any cuts at all? LS: No! Why? It's great. When you make a cut, what difference is another minute here and two minutes there; it's wonderful stuff. And you know, you sit there saying it feels too long, but when it's over you're sort of are sorry it's done. BD: What if the director comes to you and says, "We must cut such-and-such or so-and-so"? LS: I'd say, "But look, this theme has to go back here. I need this theme to relate to this." BD: When you have a fight with the director, who wins? LS: It depends. I haven't had too many fights. I had little fights in the Werther in Stuttgart, but for the most part, I haven't done enough opera to really address that quite so well. When it comes down to an argument we'll see what happens. Now, I'm probably in a better, stronger position than I was. BD: Is that one of the good things about concerts - you don't have someone to argue with? LS: Oh there's always somebody to argue; there's 100 people down there in the orchestra to argue with. BD: But in opera you have the orchestra, plus the chorus, plus the soloists, plus the director! LS: So what? It doesn't matter. All it takes is one other person for an argument. It doesn't matter how many there are. I'm not interested in arguing, I'm really not. I'd just as soon collaborate with the people, and that works fine. BD: Tell me about doing the Szymanowski. That's a very special work. LS: Yeah. About seven years ago, or maybe six, we did King Roger which had not been played in the United States. BD: Did you perform it in English or Polish? LS: English. I couldn't find a chorus to learn it in Polish during the amount of time. I found it very beautiful. I'd always known Roxana's aria mostly from a Heifetz transcription, actually. Then I got interested and looked at it, and somebody said, "You know, this is possible for an American premiere." I looked at it and listened to it, and it was really beautiful stuff. It's a shame it's never been played here, so we did it. BD: If the management of an opera house comes to you and says, "We'd like you to conduct an opera," would you lobby for King Roger? LS: Probably not. I thought it was very beautiful, but I don't know, if I went into an opera house every day if I would want to spend that much time on just that. I think, at this point, since I'm still starting out in opera, I would rather go towards the more traditional fare just to understand more about opera. I can't say I learned anything about opera per se by doing King Roger; I learned a lot about Szymanowski! BD: You're learning a lot about opera from Mozart, though. LS: Yup. And from Massenet and from Strauss and from Puccini, from the people who write it. It's teaching me a lot of what I feel I have to know. Then it'll be time to reintroduce those things, to do Palestrina by Hans Pfitzner and Doktor Faust of Busoni, and those things which are interesting works which I wanna do someday, but not yet. BD: So you have your career kind of mapped out for a long time. LS: No, no. They may never come up. But if it was to get to that point and I could call my own shots, I might wanna say, "This is something I'd like to do," and then they'd give it to me. BD: You've recorded an album of Mozart arias with Lucia Popp and a "Highlights" disc from Porgy and Bess with Simon Estes. Would you want to do a complete opera? LS: Depends on the opera. I would turn down most operas, because I haven't done them. I certainly wouldn't want to commit to disc anything I hadn't done. BD: Does that include symphonic stuff too? LS: Yeah! I don't record anything that I don't play at a concert because I like to record in whole takes, and I've learned, from a performance standpoint, what works and what doesn't. Nobody has the luxury of just going into the recording studio, rehearsing, and doing many takes. It's not practical for me. I know they do that in Europe, but I don't like it. I need the feeling of performance so I can try to get some of that onto the disc. BD: Are you pleased with your recordings thus far? LS: Most of them I think are not bad. A couple I think are outstanding; a couple I don't like, but once we've done it, once it's over, I don't listen to them. We've made the session; I've heard how it's going to be issued to the public. I approve it, the orchestra approves it, the producer approves, and there it is in the documents. That's how we felt on that day. BD: Does it bother you at all to think that there are people all over the world sitting in their living rooms, listening to what you have done? Or does that even cross your mind? LS: [Chuckles] No. I don't think about it. Maybe I'm bothered sometimes by the fact that they take that as the gospel of how I view a piece, and might be disappointed when they hear me do it in person and maybe do something different with it. But that's my own growth, hopefully. BD: He was doing too much before it was fashionable to do too much. LS: Yeah. Yeah, he really was. And I learned that; I learned a lot about what music should sound like; I learned a lot about the intensity of music from him. This is all purely by osmosis, nothing direct. BD: He didn't encourage you to be a conductor. LS: Oh, no, he didn't encourage me or my brother to be a musician. We were, in fact, told to get out of it because it was too difficult, too demanding, and ultimately we'd have to make too many sacrifices. He didn't think, as my mother didn't, that the sacrifices were worth it, if you really weren't going to go at it wholeheartedly, which my brother and I then proceeded to do! BD: Do you think the sacrifices are worth it? LS: Yeah. I'm not so certain, however, I wouldn't teach any children of mine the same thing as my parents taught us, that the first thing is you have to value it. You have to want it desperately enough to work hard and give up things for it. You have to give up years of your life - knowing about the world and other people - just to immerse yourself if you're really going to be any good at it. BD: Are we in the age of the star conductor? LS: Hmmmm... It's sort of declining when you think about it. How many really are left? There's no Toscanini anymore; Stokowski's gone, Ormandy's now gone. There's just a handful of conductors - not even a handful, less than that - who could really fill a house. BD: You don't aspire to be one of those? LS: No! I just aspire to do the best I can. I don't know if they even aspired to be that! It just happened. BD: What advice do you have for a young conductor? LS: My only advice is the one that my teachers always gave me, and that's to be ready at any minute. Learn everything. Study. Go to rehearsals. Go to concerts. See what everybody does. Find out what they do wrong, find out what they do right, and then when your opportunity comes, be ready for it. BD: Is playing an instrument with a symphony orchestra a good career? LS: It's a good career if you're in the right orchestra. It has its financial rewards, certainly, and many orchestras now offer good chamber music series as an outlet for the very frustrated string players who need that, and that's certainly understandable. Yeah, I think it can be highly rewarding. BD: You do so much commissioning; what advice do you have for young composers? LS: Don't be afraid to approach artists with your works. All they can do is say, "No, I don't wanna look at it." That's all. That's the worst that can happen. And the best? Composer'll come to you, you'll see a piece, you like it, and you play it. I receive over 40 to 50 scores a month. We have a composer-in-residence in St. Louis [Joan Tower]; she and I both go through the works, and every composer who sends a work gets a fair look-at. BD: What do you look for in a work? LS: I look for pieces that are going to be comfortable for me. If somebody sends me a long work in serial style, I'm not going to be interested in it. It's not for me! It may be a great piece, and I'll pass it on to somebody else to look at. I look for a certain amount of professionalism; I look for a certain amount of originality; form and formal content and essential because, after all, the symphony orchestra basically deals with formal content. That's what I'm looking for. BD: Would it be absolutely a mistake for someone to write, say, another Strauss opera? BD: Or another Verdi opera? LS: Probably. They should write just like they are. LS: Yes! Any kind of work where the creative spirit is involved in producing tones of some kind is music, and every kind of music appeals to certain audiences. In some cases the audiences cross over from one to the other, but for the rock fan who really knows and enjoys rock, it's no less significant than for the person who comes to opera and really enjoys opera. It's still the same creative force behind it. The difference is, for the most part, that opera is here because it's lasted a long time. Rock music, as is most contemporary, popular brands of music, was created for the moment. Whether it survives doesn't seem to matter. BD: One last composer I'd like to talk about briefly is Massenet. LS: [Excitedly] Uh-huh! They asked me to do a Werther in Stuttgart, and I did it because I think Massenet is a slightly underrated composer, and I wanted to get the feel of what it was like to work in a European opera house. And this was a good opera for me to do. BD: Why did they offer you Werther rather than Bohème or something? LS: They wanted me to do an opera that hadn't been seen there, and the Italian repertoire is well represented. I certainly didn't want to go in with an opera that everybody knew - not for the first time. I wanted to do something that was not familiar, and Werther fit that bill just fine. We had a good cast and a nice production, and it was very well received. I enjoyed doing the work, and when I go back there every once in a while, I step in and do it. It's kind of fun. BD: Is that a French work because it's Massenet, or is it a German work because it's Goethe? LS: In a way, it's an Italian work, because it's almost like a Puccini opera, the way it's constructed, and all that. I don't know, it's just an opera. I don't really think of it as being very nationalistic at all. BD: Is music at all nationalistic? LS: Yeah, and for the most part, identities and countries can be discerned from the music. But in many cases it can't; Werther's a pretty good example of that. I mean, if you just drop the needle down, unless somebody knows it, it would be a little hard, for the most part, to guess what this music is. Could be anything. BD: Thank you very much for sharing this time. LS: No problem. Thank you for comin' by. Now we head into the second conversation, which took place almost two years later, in July of 1988 . . . . .
LS: My household was unique in that I had a resident string quartet. Almost every day, I heard the sounds of Beethoven, Brahms, Bartók, Shostakovich, Haydn, Mozart, all the great composers in what I still think constitutes their highest form of creativity, the string quartet. And I think when you hear this great music from a very early, early age and are brought up on it, that you come to have a terrific understanding of a composer's total output. It was a unique opportunity to grow up in a household where you had occasion to hear the great masterpieces of the string quartet repertoire, my father being the first violinist and my mother the first cellist. Having heard these great works, you come to understand that perhaps the finest statements in music were in the string quartet form. I thought that the repertoire and the nature of what chamber music is, the reliance of players coming to agreements with each other and listening to each other and understanding... There really is a dialogue in music. I try to think that the long lasting impact was that perhaps I'd bring some of that knowledge, and I think these things aided me greatly in the conducting element of my career. BD: Chamber music, though, is much more of a democracy. Is playing in an orchestra or directing an orchestra at all a democracy? LS: Orchestral playing these days is a little more democratic than it used to be. There was a time when the conductor was the complete dictator, virtually having the power and authority to dismiss on the spot. If he didn't like what he saw or heard, that player could be relieved of the job immediately. These days, that doesn't exist anymore; there is much more of a solid base, an orchestral solidarity. The actual restrictions against conductors in this country don't condone certain things like that. You can be thrown out of the union and you can lose a job if you get too temperamental. BD: Let's look at the other side. What are the positive advantages of working now rather than 30 or 50 years ago? LS: Well, actually the advantage for the orchestra is that they have much more job security than they had before. I find, however, that there is a great deal more pressure to produce more music in a shorter amount of time, which is not necessarily a good thing, although the skill of orchestral playing is very high now mostly due to the fact that the basic standard repertoire is known by players almost before they enter an orchestra. They're in their schools now. So while the standard of actual playing has increased, I'm a little concerned at the turning out process, that we go through with our major orchestras, has become a little bit counter-productive. BD: While the standard of the major orchestra go up, do the standards of the lesser and the community orchestras also go up? LS: The standards of the smaller orchestras is where you see the most dramatic improvements as a matter of fact. You see orchestras like Columbus, Ohio, or Wichita, Kansas, Springfield, Massachusetts, places like this, San Jose, California, producing absolutely wonderful, exciting musical performances. BD: The technical ability is going up. Is the musicianship also going up? LS: That's a little hard to say because we' re all a product of our time, and if we rely too much on recordings from the past, it would be too difficult to say that we are recreating music as it was made before; it would also be difficult to say that things that were created before were right also. We don't know. There is the feeling that, indeed, we are becoming a little too mass-product-oriented, we're not differentiating between styles enough in our orchestral playing. That's why various specialty groups have popped up - Mozart players and Haydn players and Baroque players, and special ensembles that deal with contemporary music. I still think that the basis for almost all of the classical music orchestral playing is, indeed, the big-full symphony orchestra, and that won't disappear. For that reason, the repertoire must be kept alive and hopefully you keep the interested players strong enough that the musicality doesn't lag. BD: How do you keep the repertoire alive? LS: Well, one thing is not to play it over and over every year as some places unfortunately do. I think it's not a good idea to knock off the Fifth Beethoven symphony every season at some festival circumstance. I don't think even playing the Mahler symphonies as much as we're hearing them is a particularly good idea. I think that the great works deserve the special love and care you can only give them when you don't see them quite all the time. You appreciate them, I think, more fully when there's a certain amount of distance and time between performances by the orchestras. So I think that's one possible solution. BD: The works you mention are all the obvious great master works. Should there be a place in the concert repertoire, even the standard repertoire for the next level or even the level below that? LS: There's always a place for composers and music of distinction that has originality to it that is not derivative. In many cases those pieces may not be of the first order, or some people might think they're very much of the first order, but they have elements that don't sound like other music. A good example of that would be the music of Edvard Grieg, for example, or we might look at the works of Fauré; we might look at lesser works by great composers. We all know the last three symphonies of Tchaikovsky but maybe we need to hear the first three a little more often, or some of the tone poems that aren't played. I think that's a question of balance, it's a question of understanding, and in order to understand the great works, you need to embody a little bit larger view of what the composer's output is. BD: What are some of the characteristics that go into making a piece of music great? LS: Obviously, I'm being extremely subjective. Of course, there are people who hate Brahms, who didn't think he was very good, but for me, one thing is staying power. The fact is that audiences over the years have come to embrace the work because, after all, it really doesn't do much good to consider a work great if it's never played and the audiences don't come to hear it. There are no pieces in my mind which were actually written with the exclusion of the audience in mind, which we did see in this country and of course in Europe in the fifties and sixties; composers completely ignorant of the existence of the audience and hence, we have very few pieces from those years which have even begun to enter the repertoire in any fashion. Most of that music is completely forgotten. BD: It's a lost generation of music? LS: No, think it's simply a question of a time of transition, a time when composers were searching for their own individuality, as the lost generation was. But the difference here was that the composers were renouncing the past and trying to look for new paths for the future. As we come to the end of the eighties we see that more composers now are looking towards the past to discover the future. So, there's a great place for the works of individuality, and more important is that the presentation of these works have to be done by musicians who are committed to the music and care about it, not just doing it because of the novelty of the music, which happens all too frequently. BD: Then what advice do you have for a composer coming along today who wants to write for the symphony orchestra? LS: Not to be discouraged, because you see a lot of works for symphony orchestras these days being embraced much more readily than they were fifteen or twenty years ago. Names of composers like Lutosławski or Del Tredici, Joseph Schwantner, Joan Tower, Steve Reich, John Adams, more and more from our time are in a kind of limelight. [See my Interview with David Del Tredidi, and my Interviews with Steve Reich.] They are not as disregarded as composers from the fifties and sixties were. BD: What do you expect from the audience who comes to hear either a concert of standard works or a new piece on the program? LS: I expect, first of all, programming should have a balance. There should never be programs in which you have all works that are completely familiar or all works that are unfamiliar - unless it happens to be an oratorio that occupies the whole evening that nobody knows or everybody knows too well. I think that audiences should not be judging one work against another. With any luck, good programming means variety and you don't compare the main course of a meal to the dessert. Hopefully they're so separate that you keep them separate and appreciate both of them. BD: With this huge amount of material to select from, how do you choose which pieces will go on which concert, which pieces will wait 'til next season and which pieces you'll abandon completely? LS: For my own orchestra, the task of music director is indeed a question of balancing twenty four subscription weeks, the major part of our season. During these twenty four weeks there are several lists in planning. They have to do with repertoire we haven't played for awhile, pieces that I want to do, pieces that I don't want to do that I might rather enjoy seeing a guest conductor or two do, soloists that have appeared with us frequently who maybe it's time to give a rest, perhaps some emerging youngster who needs an opportunity to play a repertoire. All those areas need to be balanced with new pieces we either wish to commission or present second or third performances. It's really very much like a gigantic puzzle and I love it. I love the idea of all these scraps of paper with composers names and various pieces of music on them. We put it together and try, over the course of the twenty four weeks, to make a very palatable season for those listeners who come to all twenty four. And for the weeks that I do, which is between twelve and fourteen weeks of those twenty four, I try to make it as much a variety as I can. My own orchestra is very flexible with me. BD: Is there ever a time when that puzzle is complete, or is there always a little bit changing going on within that puzzle? LS: Once in a while you get a change, but it mostly has to do with a particular demand that a recording company might have. But usually we try to stick to our guns and not make very many changes at all. BD: You do a lot of guest conducting, does that alter your judgment when you're sitting in the director's chair? LS: No, the guest conducting is a very separate institution. As a guest conductor you're not responsible at all for the individuals within an ensemble. I don't have to be concerned about how much money they're making; I don't have to be concerned about their problems at home; I don't have to be concerned for too long a period about the interaction I have between myself and the players. I simply come in and make a suggestion to the administration about which pieces I would like to perform within a given year. Hopefully they select something from that list of works. I come in and do my one or two weeks and I leave. It's a different matter altogether. BD: But doing this quite a bit, does that not make you a little more on a wave length with the guest conductors who are coming in to your orchestra and talking about what they will do? LS: Yes and no. I select my guest conductors in St. Louis based on repertoire that I don't feel comfortable doing. I don't think too many other music directors do it that way. I stick my nose right in it. I oversee virtually every aspect of the operation in St. Louis and that is not the trend. There are many orchestras that have what they call "artistic advisers" which are people to more or less bridge the gap between the music director and the guest conductor to make the programs. I don't have such a person. I try to maintain that all myself. 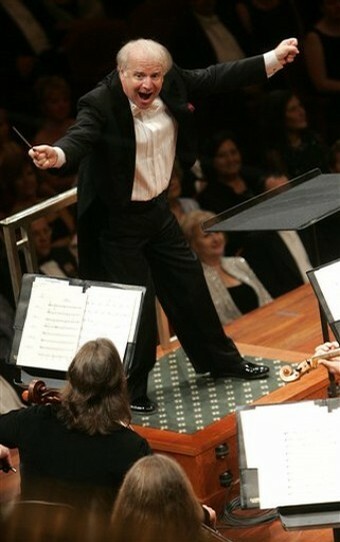 I think, ultimately, the success or the failure of an orchestra is always measured by the music director, and no matter how many people you have in the administration, ultimately the public, those who come to the concerts, will blame the conductor for whatever failings happen during the course of a given year, and hopefully will praise the music director for the successes that happen even when a music director is not there. BD: Do you ever get the feeling that maybe you're taking all of the plums for yourself? LS: Oh, I don't do them all because there's a lot of repertoire that has many plums that I don't do. I don't do Bruckner and Bruckner is considered quite a plum, as is Wagner, and I don't do Wagner. I purposely spread around the variety of the Austrian Romantic repertoire between my various guest conductors that come in. I do a lot of American music, but most guest conductors aren't willing to do it and I love it very much. I do a lot of that. We also cover the English repertoire quite extensively, and I know my strengths lie within certain repertoire of the Slavic element as well. So the answer is no, I don't do all the plums; you wouldn't be able to attract decent enough guest conductors if you did that. BD: What makes a conductor "decent enough?" LS: Somebody who commands the respect of the orchestra, comes in knowing the pieces extremely well, hopefully has gathered enough experience over his or her years of conducting to communicate the wishes in a musical and positive way to the orchestra. There aren't too many people who do that. BD: Are there enough who do it? LS: Oh, I think so. I can usually find some combination of four or five guest conductors who I think can do it, yes. BD: I mean for the gamut of the United States or the world. LS: It's a little hard for me to speak about what the world needs. I can only address the situations which I run. Everybody has their own idea of what constitutes above adequacy. BD: When you're rehearsing a work with the composer sitting in the first row, do you encourage that composer to have input with the orchestra, or just make some comments to you here and there? LS: I prefer the composer to really become quite active because the first performance of a work is a creative process. It's one where a composer has the chance to make those changes. I like the composer to be there for the first rehearsal to give whatever advice or suggestions, and members of the orchestra, in turn, also make some suggestions once in a while. They might ask to try this in a different octave or adjust this dynamic here or there. Once in a while you hear about places that are unplayable and the composer makes an adjustment. I would just as soon work very closely in a collaboration with the composer in a creation of a new work. BD: What about the creation of an older work? LS: It depends. Hopefully the composer is flexible enough to understand that the work was created with the idea that there would be several ways of looking at it. If there's only one way, there's no point, really, of having a live performance of it. They will tell you, for instance, that one can go out and buy the recordings of Stravinsky or Bernstein or Benjamin Britten, so would there really be any reason to hear these works in a concert hall if the composer gave us no leeway to have a slightly different approach? BD: Then how much interpretation do you put into old pieces or new pieces? LS: I put into it what I think is on the page. I don't try to inject my own individualities past what I think is the bounds of good taste, which is dictated by what's on the page. BD: Who is dictating good taste? Is it you, the audience, or the critics? LS: Oh, certainly not the critics. Certainly, to a degree the audience, but I think mostly at this point in my own life I rely on my own experience having grown up in a household where I feel good taste was the order of the day. BD: Does your good taste expand a lot? LS: It becomes more limited. I become more selective as I get a little older. I find I'm much less tolerant of certain abuses to the repertoire. BD: Is all of the work done in the rehearsal, or do you leave a little bit of spark for the performance? LS: I leave a lot for the spark. I find that I can only use so much in rehearsal while putting it all together and then I do try to save. I can't say, consciously, just how much, but I know I can't recreate the performance aspect because there's s no audience there at rehearsal. An audience does make a big difference to the orchestra on stage. It makes a very big difference. BD: You feed on them. LS: Oh sure, sure. If any performer that tells you otherwise, ask them why they're playing in public. 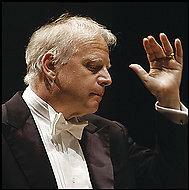 BD: Why does Leonard Slatkin perform in public'? LS: Because he likes the feed he gets from the audience; he enjoys it; he enjoys presenting works that he loves and sharing them with other people. BD: What do you feel is the purpose of music in society? LS: That's changed over the course of the years. You have music that's been functional, that's served to the occasion, but ultimately music is a form of entertainment and if we can learn something about history along the way, that's fine. An audience can come away moved by either happiness or joy, sadness or despair. Whatever emotions a composer put into a piece, that's what music is about. And it's the most abstract of the arts because it deals with communication without pictures and without language. The language it does choose to use is not one of words, it is one of emotions. BD: But where does the artistic achievement incorporate itself into this? LS: Essentially, musicians are really re-creators, we're not creators at all. Our job is to recreate what the feelings of a given composer were, what that person had on their mind, and in their heart, and we can only do that by study. That's all we can do. We can look at the music, try to understand it in the context of the time in which the composer lived, understand the social elements surrounding a given piece of music in a composer's life, and try to gain a little bit of insight into what the past had to offer. BD: You've made a number of recordings. Do you conduct differently in a recording studio than in the concert hall? LS: It would be foolish to say that a recording is the same as a concert. There's no audience there. You know you're gonna stop and start, you know you have the opportunity to correct everything. What we try to do, in making recordings both in St. Louis and the ones that I do elsewhere, is to at least play through a whole work once so that we have a rough idea of the total scope, the picture, the frame of the work. I know some conductors these days are preferring to simply tape their performances and try to edit from the performance and then come in and do patch up session a day after. I think it's not a bad idea, but it presents some problems because sometimes the best performance gets lost because of an audience cough and then they can't use it; or some particularly soft magical movement doesn't translate so well. I also find, interestingly enough, that sometimes the tempo you take for a recording differs slightly for what you do at a concert. You're missing that tension with the audience. It particularly has to do with slow tempo which you can get away with in a hall with an audience there, which doesn't necessarily transfer to a disc. BD: Are there ever times when discs become too technically perfect? LS: I suppose. I can tell you, however, that virtually every record I've made has some flaw in it technically. There's always some spot that's not quite in line with what's intended, and I don't care. I would rather go with the whole sweep of things. I know that on a couple of records I've made recently, I sent a little note to the producer saying, "This bar, this isn't quite together, but I can live with it. If you have a better one fine, if you don't it's okay." BD: Who makes the ultimate decision? LS: I do. We keep pretty accurate records on which takes we have, and as we go along in the recording process, I mark down which ones I want them to use. Then, when they send me an edited tape, if there's something I don't like, I send a note back and say give me examples in this spot of other possibilities. They send it back to me and usually the one I decided on in the first place usually works. BD: Are you happy with the recordings you've tuned out thus far? LS: Most of them, yeah. I think most of them are pretty good; some are more exciting than others. Some of them I will probably live with for a long time. However, once a recording is issued, I don't listen to it because I need to grow after that. When a session is done, I have to hear the recording as it's progressing and will be issued to the public. But once it's out, it's time to move on and get other ideas about the particular piece of music. Also, the nature of different ensembles makes different music sound differently. So if I'm doing a symphony of Rachmaninoff in Philadelphia, it will sound different than if I'm playing the same piece in Chicago or New York or Berlin or London. Individual characteristics of the fine orchestras all lend themselves toward a little bit of disparity in performance. BD: Does your conducting style or technique change from city to city? LS: No. The style and method of which I use the stick in the hands is about the same. The only difference is that some orchestras play what we call on the beat, and some play afterwards. Where you give a downbeat, some orchestras are used to just jumping right in on that downbeat. As soon as you come down, boom, they play right with it. Other orchestras are used playing just a fraction after the beat comes down. That's the only kind of adjustment I have to make once in a while. BD: But then you must address your expectations of each group. LS: No, I go knowing what I want to do with a piece of music, adjusting only as is necessary. It would be the same thing as asking somebody to your house and then they come in, and they start moving the furniture around. You wouldn't like that as a host, I don't think. I wouldn't like it. So if I go to a great orchestra that's not my own, I try to stay within the parameters of what makes that orchestra great, but still imbue the ideas I have about a piece of music within the context of the environment that I'm given. BD: Do you view yourself as a guest or more as an interior designer who is supposed to adjust? LS: Oh, no, no, no, not at all. When I go as a guest conductor, it is just as a guest conductor. I cannot adjust the furniture. Why would I want to change the sounds of the Berlin Philharmonic? Why would I even presume to want to do that? No, I would just as soon go in, accept what they have to say, give them my ideas, and somehow arrive at some mutual consensus. Usually you get a very interesting result. With any luck, you get the best of both worlds. Sometimes it goes the other way too, but usually not. BD: But if you're not gonna move the furniture at all, why do they hire you instead of a little mechanical arm? LS: We're talking specifically about tone and sonority. We're not talking about interpretation because, especially for the orchestras that have extremely dynamic and individual music directors, then you're asking why have a guest conductor at all. Why would anybody want to bring in somebody to cover the repertoire that the music director does and do it differently? Hopefully, the music director wants to build any given repertoire and have the orchestra play it that way during the course of the music director's tenure. Usually when I go to other orchestras, it is mostly a repertoire that the orchestra doesn't know quite so well, and very rarely is in conflict or competition with the repertoire that the music director performs regularly. BD: You're an American conductor conducting mostly American orchestras and making a big success out of this. Are you at all an anomaly? LS: I think I remain one of the rarities in this country. Most of the major orchestras in our country do not have Americans as music directors. Some have American citizens as music directors but they have not spent quite as much as their life here as myself and one or two others. On the other hand, you have a lot of Americans who get disenchanted because they don't move along quite as quickly as they would like to, and they go over to Europe and try to get jobs. I think that's a bit of a cop out as well. I think we need to spend a good deal of time here working because at this point, I don't think there's that much more to be gained by spending time in Europe other than being able to secure a job. Tradition is now a universal in our world. Traditions in the United States are just as valid as traditions in Vienna and France and Germany. BD: You bring American music to a lot of the orchestras, but do you bring American music specifically to the European orchestras? LS: As much as I can. Many orchestras don't accept the idea of wanting to play the American music because in many cases it demands a high level or virtuosity particularly in the newer music. This requires more rehearsal time than some other things, but I've been very fortunate in that for the most part most of the ensembles I am working with regularly in Europe seem to be interested for me to do and present the American composers now. They seem to trust my judgment on what I'm bringing to them. And also, again, as at home, I try to balance it with the presentation of a more standard work on the same program. BD: Is the European audience particularly receptive to American music? LS: It depends on the work, I think. Somehow the Europeans are still more accepting of the conservative Americans as they are of the conservative Europeans. There's no difference. But I think they understand that there's a vitality and a willingness to reach to the audience that the young American composers are beginning to show. So you're seeing not an insignificant amount of American music being played in Europe now as opposed ten or fifteen years ago. BD: Do the European conductors know how to present American music? LS: Most European conductors don't do American music. It takes the Americans to go there and do it. I really can't think of a major European figure who's doing American music over there on a regular basis. BD: Perhaps one piece here and there? LS: Oh, it's usually of an older school of American music. There's nothing wrong with that either. Europeans have to learn what it is that the Coplands, Barbers, Iveses, and those composers contributed before they can even begin to venture into the newer forms. BD: Let's talk about some of the recordings you've made, starting with the Rachmaninoff orchestral works. BD: Is ten years old ancient history? LS: It's ancient as far as technology; now things are recorded digitally. So, the answer is yes, it's ancient history. Time to redo them again. BD: Well, let's talk a little bit about Rachmaninoff and your approach to his music. LS: Rachmaninoff is very close to me because it has a special place in my family's history. One of my relatives, Modest Altschuler, [(1873-1963)] who founded the Russian Symphony Society of New York was the man who met Rachmaninoff when he came off the boat from Russia, and arrived in New York. And my family's heritage is Russian. I found this composer particularly fascinating because there's somebody living in the twentieth century who probably would have been more at home in the nineteenth century. There's this great outpouring of Russian romanticism, but with a couple of the skills of a true twentieth century orchestra - in particular the final works, the Slavonic Dances or The Bells, The Paganini Rhapsody - these pieces are really remarkable in their command and use of the resources of the modern twentieth century orchestra. BD: He really brought those ideas forward as far as he could. LS: He did. Percussion used to be just gratuitous thumpings. Rachmaninoff used very it much in the twentieth century context, with solo passages, the way the bell instruments were used, things like this; it's very exciting. He uses the saxophone, even. It's exciting, what he was doing, I think. BD: And more recently you're recording Shostakovich? LS: We have embarked, I'm not gonna say on a cycle because we don't know just how far we will go, but we are certainly planning, in St. Louis, to record a great deal of Shostakovich symphonies; the Fifth and Tenth are out and the Eighth will be recorded in October. BD: What is it about the Fifth and the Tenth that kind of grab everybody? LS: I think they appeal to a mass audience; certainly the Fifth does because it was intended for that. Shostakovich knew that very well. The Tenth reaches a kind of core of strength and speaks an actual musical language which an audience has come to enjoy. We're about to record number eight which is another matter altogether, but I think we can turn to a little movement like the Scherzo in the Tenth and see exactly what it is. It's got rhythmic impetus to it; it has a memorable motif that drives throughout the movement - throughout the whole symphony, as a matter of fact - and music that is conservative in outlook, but at the same time has very much the ring of the mid-twentieth century to it. And it is certainly the midpoint of his output, having been written in 1950. BD: Would you want to record all fifteen? LS: I don't like all fifteen at this moment. So the answer is no, I wouldn't want to, but perhaps in six or seven years I might come around to a little more open approach to some of the works which I don't care for. I might, I might not; I don't know. BD: Do you ever get caught having to play a piece you don't like? LS: Not much anymore. When I started out, of course, but now I'm in a position of being able to pick and choose what I want to do, including the soloist and the concerto they'll play. Some people find that unusual. For instance, I've begun an Elgar cycle for RCA in London, and rather than start with one of the more popular works, I started with an oratorio titled The Kingdom, which is an extreme rarity that I find very beautiful. That's some of Elgar's loveliest moments; not a great text, but musically quite an extraordinary work. I recently recorded the First Symphony for a company called Virgin Classics which is just beginning in Europe and will debut in the United States in October. I find I like exploring some of the lesser music that I enjoy, and at the same time recording and presenting some of the more familiar works. We have recordings of Brahms that are out. We have recordings of Prokofiev; we're recording ballets of Tchaikovsky, we' re recording works of Schubert. So I'm quite content with the variety that's on disc. BD: What orchestra will be on the Virgin label? LS: The Virgin Classics is the London Philharmonic as, at the moment, all of my English recordings are with them. The Elgar project will all be London Philharmonic oriented. I scale down a little bit for some of the smaller pieces, but I think it will still be the London Philharmonic. BD: Does an American really understand English music? LS: People who are writing about us seem to feel that we do. They seem to like it and I don't think Elgar or Vaughan Williams or Walton are so overtly English as to not be able to cross the ocean comfortably. I think the Europeans can understand Copland just as well as they can understand the aforementioned composers. BD: So they're not bringing forth the American composers, just as we're not bringing forth Birtwistle and others. BD: Do you have any feeling to do contemporary music by other nationalities? LS: Well, I do. As a matter of fact, I do works of Olly Knusssen, who is a wonderful English composer whom I find particularly interesting, I have done two works of Mr. Boulez, who I think has a vast number of works to be heard out there; Lutoslawski, of course, Penderecki, of course, but my main emphasis is really to try to promote the American composer. [See my Interview with Krzystof Penderecki.] I think that given the choice between a couple of relatively equal great works of an American composer and a European one, I will turn to the American one just out of a sense of loyalty and love for the music. BD: You're recording with the London Philharmonic and St. Louis? LS: Yes. I've also done a couple of recordings with the London Symphony. I did a recording in East Germany with the Berlin Radio, and I recorded an album of Mozart concert arias with Lucia Popp and the Bavarian Radio. BD: Do you enjoy working with singers? LS: I do enjoy working with most of the singers I've been dealing with recently. I haven't found the so-called singer temperament to be quite as much as it's cracked up to be. I've had great relationships with people as diverse as Placido Domingo and Kiri Te Kanawa. They've all been very, very nice, very professional and wonderful people to work with. I think that the people who in general are on the top are understanding of what they have to do when they get on a stage. What their publicists choose to make up is another matter, but I don't concern myself with that. All I want to do is present the music and in the most honest way it can be presented, and usually it requires good thinking professionals to be able to do that. BD: Do you have a publicist? LS: I don't, no. I don't need it. I'm very content with what I'm doing. My orchestra retains one and then, consequently, certain things that I have to do come down that direction; and the recording companies that I work with have publicists and they may want to do something or the other. But as an individual, no, I have no interest in it whatsoever. BD: You don't want to be a star? LS: No. I'm very content to do what I'm doing. The average public seems to know who I am and what I do, but I'm not concerned about that. It just doesn't make that much difference to me. All I'm concerned about is to go out and make music and to enjoy myself and hopefully to bring some pleasure to other people. That's what music is about for me. BD: Is there any chance that you're doing too much? LS: I'm doing a great deal and I will cut back a significant amount beginning with the '89-'90 season. My summer schedule will be greatly lightened. I won't accept as many engagements and they will be highly selective. They will be oriented more towards the recordings I'm doing, my own work with my own orchestra, and only a few orchestras outside of that per season. I will take much more time off. I will also be repeating a lot of repertoire both from the past and within a given season, so if you were to follow me around, you'd see a lot of the same works pop up from city to city. BD: That eases your workload? LS: Absolutely. It also permits you to get deeper into a work. For instance, the operas. I tend not to want to do every opera written. I've concentrated so far on seven or eight operas at the most. And I will keep repeating them over and over until I feel I've gotten a little bit closer to unlocking the major secrets and then I'll move on to something else. BD: Is there any piece that you've played so much that you really feel you've gotten it right? LS: No, because after I do that I put it away and then I take it out again and I realize that there's still a great deal to discover. This is mostly, of course, with the great works of the repertoire. I suppose I do The Russian Sailor's Dance right, and I suppose I do The Sabre Dance about as well as I can do it. But the majority of major repertoire doesn't have a "right." We mature, hopefully; we grow and our outlook changes, and our vision of what is right and wrong changes. BD: Are any of the recordings that you make more important in your mind than others? LS: Some are because they represent very personal statements. Among them are the recordings of Vaughan Williams' Thomas Tallis Fantasia, the Fifth Symphony of Prokofiev and the Fifth Symphony of Shostakovich, as well as the Serenade #1 of Brahms. Isle of the Dead of Rachmaninoff was a very special piece for me, and probably the Mahler Second - those are just what come off the top of my head. The ones that are upcoming and I'm particularly looking forward to the Schubert Ninth, which is a very special piece for me. BD: But what about it makes it special for you? LS: Part of it is growing up in a household where you heard certain kind of music, chamber music. Where you hear the great cello quintet, symphonically you have a kind of equivalent in the great C major symphony. It also has a very special significance for my wife and I. I had a rehearsal in the morning in St. Louis, got married in the afternoon and I played that symphony at night. So I'd like to recreate the good feelings that it had for me at that moment. BD: Besides the Shostakovich, what other records are you making? LS: We have been recording a series of American works for EMI Angel, more of the classic repertoire. We've done Copland, Barber, Howard Hanson and Bernstein, and Gershwin. BD: Tell me about working with Howard Hanson. LS: I've never worked with Howard Hanson; I don't know him. BD: I meant the music, but it makes an interesting question. Do you feel that you work with the composer when you conduct with his scores? LS: Yes, the composer tells me what to do and it's all pretty much there. It's not the same thing as having the composer sitting there and telling you, "No, it's too fast," or "It's too slow." You use your common sense and your good judgment. But when we did this Howard Hanson [Symphony #2], it was very comfortable. I was quite surprised to see that my performance of it takes three minutes longer than Hanson's recording. But in our hall with our orchestra and the way we play and all that, it seemed to feel more natural. BD: Are you conscious of time, the amount of time that it takes to play through sections or pieces? LS: I know if it seems like it's too long. I'm not conscious of the minutes as they go by. I usually can tell if a work is paced right. It has nothing to do with tempo, it has to do with the pacing from the beginning to the end. I'm usually aware of it as it goes along, but not the minutes, not the minutes. BD: Does this awareness change if you're feeling really up or you're feeling really down? LS: I suppose it does. I can't think of too many times when I've walked on stage not really being up for a performance. I've always gone out there and just immersed myself. The only times it happens is once in a while if I have an orchestra or soloist I'm just not agreeing with. It doesn't happen with orchestras anymore. It used to, and it only happens occasionally with soloists. That's when I feel that time is dragging a bit, but in general, in general I think I'm in pretty good control of the flow and pace of things. BD: If you do a number of performances of the same work or the same concert, how do you keep it fresh in those middle performances, or even the last performances? LS: Oh, the orchestras know that I've not given everything away at rehearsals and in the majority of the standard repertoire they know that I'll probably try something new. It might be a tempo switch, it might be a ritard here, it might be something that the left hand did to indicate a dynamic change. Very rarely have I walked out and given a performance the same way twice. Everything changes. The environment changes. The way the audience behaves changes. The way somebody in the orchestra might appear, or an instrument might change an idea I have. A solo in the wind section might take off on a slightly different flight in a solo passage and I'll go with it. I'll let it happen. BD: You mention that you're going to be cutting down on some of the repertoire; are you going to be able to sustain the interest of the same piece over several sets of performances in a year? LS: Yes, I've done that in the past at many performances of certain works that I do over and over again in the course of the season. Then usually I will drop it after I've done it with four or five different ensembles and put it aside for a while and pick it up several years later. So I don't overplay it in my way of thinking. LS: Sure. How can I turn it down? You go to Vienna, you go to London, you go to Paris, you go to Tokyo, you go all over the world and still you have a nice base in a good city with a good orchestra. It's fine. BD: Is it special to come to Chicago and conduct the Chicago Symphony? LS: Yes, I've had a long relationship with this orchestra beginning when John Edwards brought me here for the first time almost fifteen years ago. It's always been something very close and very exciting, and I think I was always able to complement the repertoire that Maestro Solti had in mind for his own seasons. [See my Interviews with Sir Georg Solti.] I never duplicated his repertoire and I think I made a nice balance for what was going on, particularly in those years when I was doing four weeks. I could get very creative and do all kinds of interesting things. It was a very exciting time, but, of course, there's always the special place, the special affection toward the orchestra. It's been very good to me and one of the first institutions to take an interest in me early on. BD: Is it really the best orchestra in the world? LS: There's no such thing as the best orchestra in the world. In this country alone you could cite twelve to fifteen orchestras on any given night that could be "the best" if that is what you have an idea as to what is best. But it just isn't. I think that there are several outstanding ensembles in this country and a few in Europe, and it has more to do with the individuality and the style of playing. There are people who would argue that Leningrad's Philharmonic is the best orchestra in the world, but there are a lot of people who will argue that they can't stand the sound they make. So I don't think there's such a thing as the best, I really don't; it's a personal matter and I think that the matter of individuality of tone and of style and playing, especially within given repertoires is what makes a great orchestra. BD: You started out at home listening to chamber music; do you get involved at all with chamber music now? LS: I play piano quite frequently, especially in the summer festival in Minneapolis. So I'm still actively involved as a performer. I think that a conductor has to continue to keep the hands-on experience going. It's really not very difficult just to get up there and wave your arms with a stick in it. A baton doesn't make any audible noise to the orchestra or the audience, but's a whole different matter when you have to put your own hands and fingers down on an instrument and produce your own sound. So I try to keep up with that just a bit. I don't aspire to be a great pianist or a great instrumental performer, but I think that the fact that I do sit down and do that once in a while gives me a right to be able to converse with other musicians as closer to an equal than if I did not play any instrument at all. BD: To what do you aspire? LS: Just to create music and make it the best I can. That's all, it's that simple. LS: Be open-minded; don't limit yourself to any one period, don't limit yourself to any one manner of interpretation. Listen to as much music as you can of as many different styles, and we're not just talking so-called "classical." Listen to jazz, listen to rock & roll, listen to country & western, listen to the blues, listen to gospel. Find a few areas of music that you enjoy instead of just one. BD: Do you think that the older ladies and gentlemen are gonna listen to rock and gospel? LS: Why not? Why shouldn't they? They may not like it, but know what it is; if you don't like it, find out why you don't like it. Most people don't even give it a chance. BD: Should the concert purveyors try to get some of the rock concepts into the concert halls? LS: People who promote music shouldn't try to get audiences in very hard at all. We are a specialized kind of art, and the audience, to a certain degree, should find us. We are not for mass consumption; we are for maybe one and a half to two percent of the population at the most, and that audience should really be the kind that discovers us. You should let people know we exist, but you shouldn't actually try to get people into the concert hall who ultimately won't like it. People can get access to music by going to record stores, listening to the radio and going to the concert halls. All those mediums are available, but we should not force it down people's throats. People should come to it in a natural light. BD: Do you feel that you're an elitist? LS: I think if we take that kind of attitude of forcing it down people's throats, yes. But if we simply say, "This is what we do; if you wish to join us please do; if you don't, we don't mind," that's not elitist at all. No. You could say the same thing with rock & roll music, there are so many people who don't like it. It's exactly the same, just the numbers change. That's all. If you wish to put a number on what percent of the population makes an elite, go right ahead; I don't think it does. "Elite" is to say "We're better than you," and I'm not saying that. All I'm saying is that we don't appeal to the widest possible audience. It's a smaller audience. That doesn't make us elitist. BD: You're not trying to expand the audiences? LS: I'm trying to make it available to everybody, but I'm not saying to them that you must come and you have to do this, and you will like this. I just say, "Here it is; if you'd like to join us please do." BD: Do you go so far as Boulez did and take the seats out of the main floor? LS: Oh, I did that ten years ago; I'm not gonna do it anymore. I will continue to speak to audiences about the music. I will try to keep old pieces fresh, and I perhaps am presenting them in a different light. Recently with Enigma Variations I took the time with the audience to play bits and pieces of the different variations so that they could really associate the personalities. We had the pictures of all the people that are featured in the work in the program book, and we played these little fragments so they could get an identification of what the composer had in mind. We tried to bring them closer to the creative process, and if I can do that, if people can come away being both entertained and educated, then I really have accomplished an amazing amount. BD: Do you think that concerts work well on television? LS: No. Concerts on television, for the most part, are very uncreative. I'm tired of seeing flute fingers. I'm tired of seeing the obligatory shot through the harp strings to look at the violinist's bow. I think it would be nice to see a more creative use of the repertoire, and the actual use of the technology available to make something more interesting. If you're doing a pictorial work, why not represent it with pictorial images instead of the tails and the outfits we wear. Why not do Pictures at an Exhibition and have someone creating the pictures - moving ones. BD: Rather than show the pictures being depicted in the score? LS: Show those too - why not? When you play Great Gate of Kiev, Kiev is near Chernobyl. Did he have any idea his music would be played a hundred years later? No, so I don't think that's a relevant argument. All music that we hear in a concert hall, I think, has to sustain the test of time and the test of growth. It must be open and flexible to different approaches, just as I have no objection to music when it's transformed to other mediums into sizes whatever if it's presented with a degree of integrity to what is there in the score. I have no problem with visual images. How many people go to a concert and just sit there and keep their mind a blank and don't conjure up some sort of visual image? I can't think of too many people, even the die-hards who object so strenuously to program music. How can you hear Strauss's Don Quixote and not get the picture of the sheep and the shepherds and his death; how can you not put that in your mind? And how can anybody anywhere have the same image as another person? So why not take a piece of music like that where you can associate in that matter? Of course, you say, "This is my vision of what I see when I listen to this music." There's absolutely nothing wrong with that. BD: That doesn't, then, come into conflict when someone else sees something else? LS: Then they can make their own version. BD: But if they're watching the television, they are forced to see what is there. LS: Do you have an objection when you go to the theater and you see a play and you see the director's viewpoint, one viewpoint? Do you have an objection when you go the opera and you see one viewpoint? Why should it be any different for television? LS: Yes, yes, conducting is a lot of fun. It's a lot of fun. I enjoy it. I have a good time. I think it's more fun now that I don't worry about the technical aspects of it so much. When I'm thinking about where the first beat goes or what to do with the left hand then it was a little more work. Now it's a lot of fun. LS: Thank you; I couldn't think of anything else to do. Actually I'd like to be a baseball broadcaster. That's my real ambition. So when this career dries up, I'm all set to go. I have a job all set with the Cardinals; the front office has contacted me. I do that play-by-play and sit in the booth with Jack Buck, the Cardinals commentator, and we do a little bit. It's great fun for me. BD: Is it a good break from the music? LS: Yeah, sure. You get a little more creative part of your brain that you don't have to use when you're conducting. LS: Oh, yes, I've done it live with them and it's great. I did it here in Chicago as a matter of fact, so I recommend it. Yes, it's great, it's great fun. It serves the purpose of music which is to entertain. Remember, people do forget that during the course of that description, you're getting an analysis of a symphony. Oh, here comes that theme again. Those four notes. It actually is educating people who might not be thinking that way. Those who are music lovers and take it for granted don't realize that there are still many people who are hearing this music for the first time. Maybe that's where the true hope in music is. As much as we hear complaints these days about people saying, "Oh, the music business, especially the orchestras, is dead, they're tired, it's the same old repertoire, repeating all the same old things," but there are still all those people out there who are experiencing this music for the first time. That is why the whole performance area of music, I think, will always remain alive because there will always be people hearing it for the first time. 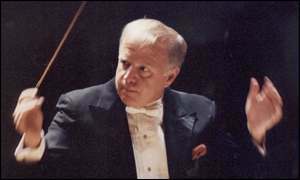 Music Director Leonard Slatkin is internationally recognized as a celebrated musician and champion of American music and musicians. Now in his 12th season with the NSO, he is lauded for leading the Orchestra on triumphant tours through Europe, Asia and the US, as well as nationally acclaimed festivals, broadcasts, and recordings. His imaginative programming and interpretations of a vast range of repertoire have been praised and awarded nationally and internationally. 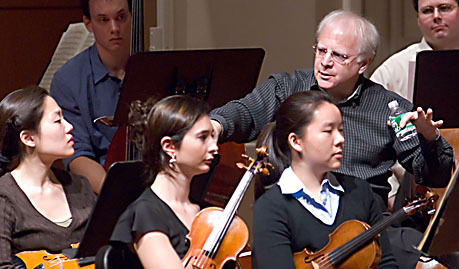 Mr. Slatkin and the Orchestra have been celebrated by the White House for their advocacy of America's artistic heritage, and Mr. Slatkin has been recognized with numerous honors and awards, including the National Medal of the Arts and the American Symphony Orchestra League's Gold Baton for service to American music. Mr. Slatkin has regularly appeared over the last two decades with the world's major orchestras and opera companies, including the New York and Berlin Philharmonics, the Chicago Symphony, and Concertgebouw Orchestra, as well as the Metropolitan Opera and Vienna State Opera. 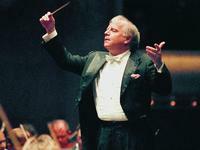 Mr. Slatkin is Principal Guest Conductor of London's Royal Philharmonic Orchestra, and beginning with the 2008 season, the Pittsburgh Symphony Orchestra. At the same time he will become Music Director of the Detroit Symphony Orchestra. He is Conductor Laureate of the Saint Louis Symphony and the Music Advisor to the Nashville Symphony, and has just completed a very successful three-year term as Principal Guest Conductor of the Los Angeles Philharmonic at the Hollywood Bowl. 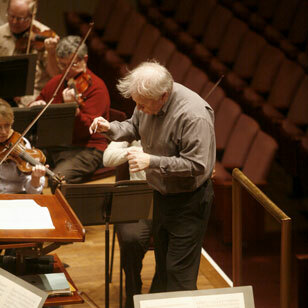 In addition to his conducting appearances, Mr. Slatkin is a frequent host of musical broadcasts, which include the BBC, lending his broad knowledge and expertise. 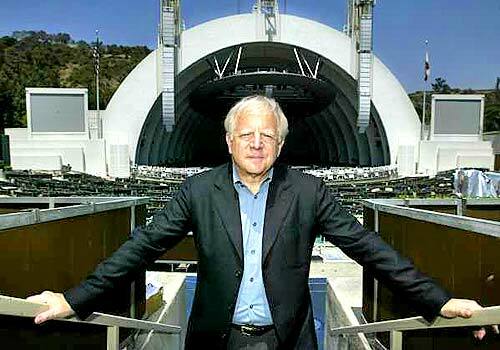 Mr. Slatkin's extensive discography of more than 100 recordings have been recognized with nine Grammy Awards and more than 60 Grammy nominations. Mr. Slatkin is a well-known advocate for arts education in America. He works with students of all ages, both in schools and at the Kennedy Center. This year he begins a relationship with Indiana University as the Arthur R. Metz Foundation Conductor at the Jacobs School of Music, as well as a relationship with American University as its Distinguished Artist in Residence. He holds honorary doctorate degrees from educational institutions such as Juilliard, Washington University, University of Maryland, St. Louis Conservatory, and Shenandoah Conservatory. 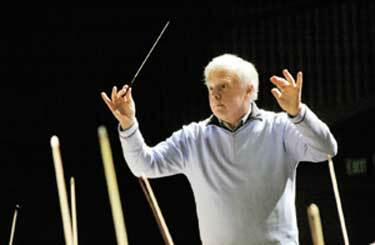 Mr. Slatkin is the founder and director of the National Conducting Institute, a groundbreaking program established in 2000 to prepare gifted conductors for work with major orchestras. He is an ongoing champion of both old and new music, which has placed him at the forefront of the nation's musical leaders. 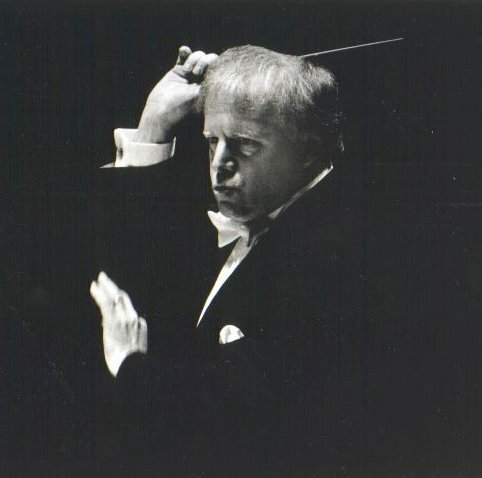 For more information on Mr. Slatkin, please visit www.leonardslatkin.com. These interviews were recorded in Chicago on September 15, 1986 and July 27, 1988. Portions were used (along with recordings) on WNIB several times between 1988 and 1999, on WNUR in 2003, and as a special program which was part of the in-flight entertainment package aboard Northwest Airlines in July of 1989. Audio copies of both unedited interviews have been placed in the Oral History American Music Archive at Yale University. This transcription was edited and posted on this website in 2008.